Some great fun and yummy food this afternoon in our Chairman v Sponsors game! The sponsors batted first with Brendan Treacey and Connor opening the batting. After a couple of big biffs Brendan was bowled by the Chairman himself for 12. Connor went on to score a fine m 22 before he was bowled by Adam Marshall for 21. A fine spell by the youngest player on the pitch Albie Glass picked up the wicket of Declan Treacey. At the other end Jake Olney was batting very sensibly before ...he was bowled by Clive Smith. It took the experience of Richard How (23) and Kevan Glass (22) to push the score on, the latter batting with Albie who made a fine 12. Tony Dias provided so late big hits as the Sponsors reached 143-9 off their 30 overs . 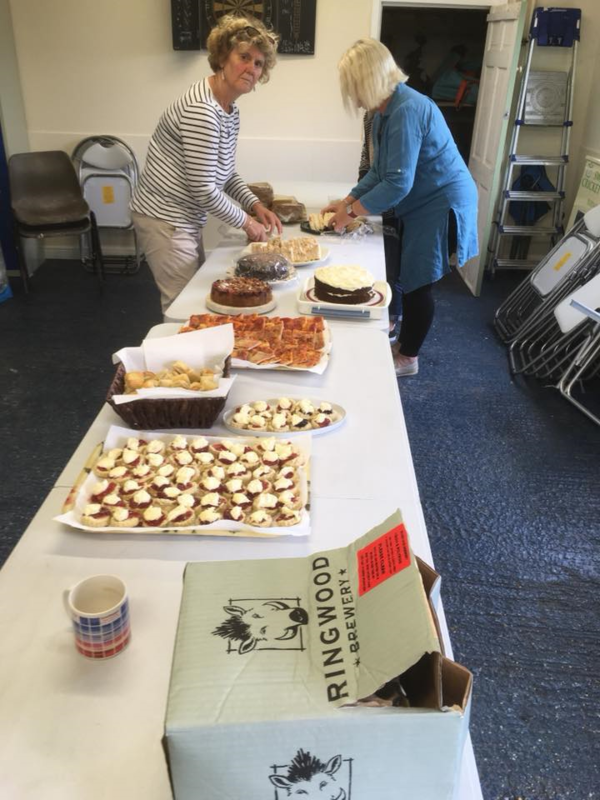 After Annie Baughan�s truly scrumptious tea, the Chairman�s XI opened their reply with the two Ollys- Sharp and Marshall. Unfortunately fort the game but in a good sign for the future the pair made batting look easy despite tidy bowling from Olney and Treacey putting on over 70 runs before being forcibly retired! Clive Smith in at 3 also was in good nick the the first wicket did not fall until the score was on 113 when very occasional bowler Kev Glass produced the ball of his career to bowl Adam Marshall. It made little difference however as Will Baughan (16*) knocked off the remaining runs for a comfortable win for the Chairman�s team. Thanks to Andrew Wilson-Lee for umpiring, Dennis Batchelor for scoring and Great to see the legendary John Wills!